Few month ago I crashed my Syma X5C in the backyard and I recovered the quadcopter only after few minutes. Unfortunately, because the motors of the quad didn’t stopped after hitting the ground, the propellers have hooked in 20cm high grass. After I removed all the grasses around the propellers and motors shafts I tried to fly again with my Syma X5C but two of the motors didn’t start anymore. 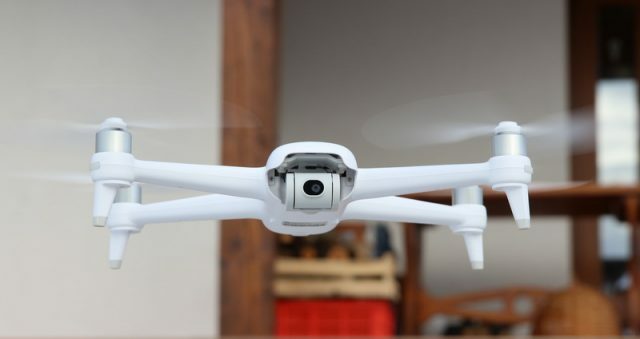 Because it is made from lightweight and durable materials, mechanically nothing happened to the quadcopter. In order to found the problem I had to check electrically every component of the Syma X5C separately. I removed the quadcopter ‘s cover to check if the problem is from some poor quality wire connectors or cold soldering, but I didn’t found any of this. I concluded the aircraft ‘s mainboard or two of the motors died. To be sure which are the faulty parts I reversed the spinning motors with the “dead” motors. Same thing, two motors are spinning and two are not. That is somehow good news, because only the motors died. When I removed the dead motors from the Syma X5C I found that one of the motor base was melted because of the motor’s heat. All quadcopters use two type of motor: clockwise and anti-clockwise. In case of the X5C you can make the differences by the color of the motor wires. The two clockwise motors has blue and red wires and the anti-clockwise motors has white and black wires. Syma X5C repair. Make this drone fly again. 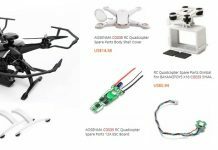 After I identified all the faulty components I started to look on the internet for cheap spare parts to repair my Syma X5C quadcopter. In no more than five minutes and I placed my order for two anti-clockwise motors and one motor base. The price was very affordable, only $8 with free shipping. Shipping could be faster, but after 27 days from placing my order, I had everything I need to replace the faulty parts and repair my Syma X5C quad. Firstly I removed all the faulty parts and carefully replaced them with the new ones. 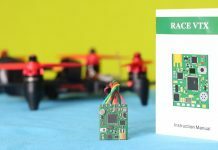 Always disconnect the battery to prevent any short-circuit that can damage your quadcopter. When you are replacing the Syma X5C ‘s motors you need to pay attention to the polarity of the motors. It remained the last stage, reassembly and screwing all the bolts of the aircraft. After the successful repair, my Syma X5C was ready for the next flight! If you want to repair your Syma X5C proceed at your own risk only! I’m not responsible for any damages. Can i replace the x5c camera’s lens? Couple questions if anyone knows…… sick of worrying about motor replacements so continuously (X5C), is there any kind of basic motor upgrade that is not necessarily faster or more powerful, but more long-term stable? Also, bought some 720mAh batteries from the beginning, are the higher power batteries stressing the motors more in any way? 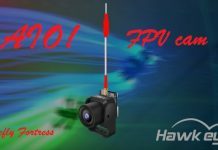 Last, but not least, any recommendations on a better quad/drone with X5C capabilities that will not have to have the motors constantly replaced,under $100? mAh (milli Amp hour) refers to the amount of gas in the car if you will. The v (volts) refers to the horse power, or maybe torque. So unless the batteries are a higher voltage you should be ok. Seems there is a mystery about what motor is actually “the” replacement on a Syma X5C….what I was received was a 7mm diameter and what is apparently needed is an 8.415 mm. Can anyone specify a site that will sell me the correct motor? It should probably be mentioned that there are screws that hold the propellers in place too. A few weeks ago I bought a syma x5c and after a few flights 2 motors dead . I replaced them with new. But the problem is when I connect the battery one of the motor spin directly without switch on. What should I do? Need help! After my daughter crashed our Syma X5C-1 after only 3 flights, one of the propellers stopped working. The gears seemed fine (not stuck), and after reading through this forum feared the worst: that she’d burned out one of the motors. A gyro reset didn’t work, though after I opened it up, I noticed that one of the motor wires (red) from the propeller to the “dead one” had completely disconnected. It was an easy fix: I soldered it back on, and all was well. So before replacing your motors, do a quick inspection of the wire leads first — it might save you some time and money. I have my very first syma x5c quadcopter drone where only 3 blades work a the same time ? I am not a technician. What can I do ?? I don’t now how to re-calibrate the gyros ? I have replaced two motors, at different times, on my x5c1 syma. Just recently it started acting as if the battery is dead, after maybe thirty seconds of flight. I have a syma x5c and during flying one of the tiny white gear on the motor that turns the propeller got missing now only three propellers turns i don’t know where to buy the missing gear. Hi my drone just recently broke. Only 3 props seem to spin. The other just stays still while the other 3 spin. Any advice on how to fix this 1 prop. I manually spins freely and the main gear looks good, probably the motor is dead and you should try to replace it. Okay, as there are so many Syma X5C fans on here I’m hoping someone has seen my questionable issue. One of the motors failed as most of us have seen. I replaced the motor, making sure to match color for motor wires with the dead motor. After installing the motor and testing all motors ran without a hitch. The rub comes into play that rather than creating lift, the motors are creating down force. I only replaced one motor, Two motors do rotate clockwise while the other counter clockwise. I’ve tried resetting the gyro, changed out multiple batteries thinking the aftermarket battery was wired incorrectly. There is no gear damage or anything along those lines. There is a lot of down force so all motors are creating a good amount of power, but just in the wrong direction. any ideas? Thanks in advance to anyone reading and replying. Resolved my own issue, but wanted to share in case others had the same issue. The blades were put on in the wrong order. Use the attached video for proper placement. Once I reassigned the rotors. viola! try to reverse the wires of the motors which turns in wrong direction. My x5c powers up and lifts off ok but when I remove the throttle one of the motors stays stuck on in full throttle. This is bad in the air. I can turn it off re bind transmitter fly and when I cut the throttle that one motor stays stuck on. Hello Tim – my x5c has the same issue. Did you find a way to fix yours? Thanks! I did not crash but am drifting and cant compensate properly. How to trim so as to hover. trim not working or maybe i dont know how to trim. I use the trim button. So I had a gear fail and a motor fail. Caused some major body damage as well. So I bought a kit with a new shell, gears and motors. I spliced and soldered the wires together and put it all back together. I turn on the controller and connect to the quadcopter. As soon as I do the trim starts to go up. It will not let me lower it back down. I am able to fly the copter with no issues it appears but it shouldn’t be doing that. So I figured out my issue, appears that I was also trying to do the mod for the remote control to add a higher gain antenna. Well when I soldered the battery pack part, it was a larger glob of solder and was touching the board when it was closed all the way. I just bent the tab back and it fixed the issue. But I am still having issues, it flies now but it seems like it doesn’t have the same kind of power and tends to dip a lot now when I spin around/try to turn around now. Could that be the motors being junk or a bad control board?? New motor just came in the mail but wires are cut two inches from motor itself. Could I just strip the two ends of the pre-existing wires (since it’s the motor that’s damaged) and electrical bind them together? Yes, you can cut the exiting wires and solder to new motor wires. I tested the motor that was not turning by connecting It to the power supply and was excited that it didn’t start up… thinking my troubleshooting was done and all I had to do was replace the motor. however if give it a twirl it goes really fast (the gear burned my finger it was going so fast). I thought the contacts were loose, so I made sure they were really tight and again, no movement until I gave it a very light twirl in the right direction. is this a bad motor? the battery is fully charged and the motor base spins freely. thanks for any ideas on next step to troubleshoot. My son got this for a Christmas gift. After 2 or 4 flights one of the props stopped working. Thorough research lead us to buy a soldering iron and attempt a motor replacement. Opened up unit and removed motor from failed prop, no visual signs of damage. Not certain its the motor but proceeding with the replacement regardless. Can’t think of any other reason prop won’t work? Body is open, new motor in position, ready to solder wires onto circuit board. Problem…solder doesn’t appear to attach to circuit board? Using a 900 degree battery operated Weller soldering iron. It will melt but won’t adhere? I have never done any soldering before. Can anyone advise from here? did you tried to use soldering flux or paste? Thank you for this information. Maybe you can help me. My son received the AKASO X5C quadcopter for his birthday a week ago. He flew it once or twice before one of the propellers stopped working. 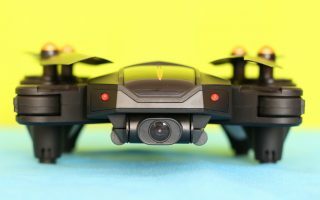 It is stiff to turn by hand and doesn’t turn at all when the drone is turned on. The other three turn freely by hand and by the motor. Any suggestions you could give would be very much appreciated. The right-hand bottom motor is broken. Should I order clockwise or counter-clockwise? I had one motor die; then I tried a local toy repairshop (didn’t felt too confident with my soldering skills), but 3 times they replaced the motor and 3 times it started heating up, losing power, and smelling like it was burning, after just a battery and a half; the prop seems to be spinning well, possibly even slightly better than the others; do you think they were just installing the wrong direction motors, or could there be something else wrong with the quad burning the motors? I forgot I had posted this here; turns out they were putting the wrong type of motor. I got it sorted out in a specialized place. Right rear receiver motor running very slow or not at all. Why is this? Who can fix the problem. I just want to fly it, not work on it to make it fly. Twisting the wires together is marginal at best. An alternative to soldering would be to use a crimp type connector. Do the propellers turn freely on all the motors? Did you loose both motors at the same time? These could be indications of another problem. How are your batteries? If the Quad still flies stable and turns normally it could be low batteries or a bad battery connection. If you lost both motors at the same time and now it flies sluggish I would suspect a bad board. With out a meter it would be hard to tell. I had two motors go bad. I replaced the two rear motors but my Syma will not get altitude anymore. It can take off but it won’t zip up sky high anymore. One thing I did to was since I don’t have a soldering iron I simply twisted the wires together with electrical tape. Do you think that could be the problem? There was hair stuck in one of my props and after I got it out the xc5sw flies fine and pretty stable, maybe slightly less stable but still okay. But the one prop that had hair in it is stiff and starts later than the other motors and stops spinning first. Is it worth getting a new motor or no? Yes, they cost only couple of $ and they are easy to replace. You don’t need higher RPM motors you need to go back to the 2 blade propellers. Adding the 3 blades is like putting Boeing 707 wings on a Lear Jet. Sure they have more lift potential but the added weight far out reaches any benefit. What was the reason for the 3 blade propellers in the first place? If it’s better performance read the Flying TESTIMONIALS section of this website. Remember that these companies spend a lot of money to design, develop and produce these Quads. If 3 blades had been better than 2 the X5C would have came with them. All once you have replaced a motor(s) be sure to put the proper propeller in the correct motor. The easiest way to explain is for the dipped end of the prop I’d the back side when rotating i.e. clockwise the dip will be to the left vice versa for counter clockwise. I think you are having battery issues. I am not a big fan of the battery connector in the X5C as they can become loose very quickly. If the battery looses connection and then reconnects the Quad thinks it has been shut off and turned back on. It will then want to go through the binding process again. It will blink fast as it sets the gyros and then blinks slow indicating it is ready to bind. You can try wedging the connector towards the outside of the Quad with the battery wires and then close the cover. If this helps you have found your problem. I had the same problem with my X5C and some others I’ve had. I changed to JST Red connectors and no longer had the problem. I’ve had my Syma 5XC for several months and have used it on a dozen different occasions. I am now having an issue with the quadcopter not staying synced with the controller. I will either crash it or it lands and then looses connectivity. The unit will stay either fast or slow blinking. It will eventually turn off all lights for a few minutes and then come back on. I can then reset the connection by rebooting the controller and re-syncing it. I can swap out the batteries on the quadcopter but that does not seem to change it’s odd behavior. The remote’s LCD shows full signal strength. I cannot tell if the quadcopter is failing or maybe the remote. I have “recalibrated” the unit on several occasions but that does not fix it. Any ideas what the issue might be? Should I give it up and buy another? What does the fast and slow light flashing mean? UMXR13 Thanks for the instructions. Why quad couldn’t take off after a motor wire soldering. Now it’s ok when install the propellers correctly!! Reply to: Don’t want to be named. It’s unusual to have 1 motor stop after normal flight but it can happen. I have to ask the obvious questions like does the propeller turn freely or is it sticking or feel rough? Does the motor make any noise at all? If it is sticking or rough, thoroughly inspect the gears. Is the motor drive gear still there? I have had them come off or slide on the shaft so the propeller doesn’t turn. You can see if the motor will run by itself by removing the drive gear. You should be able to pry it off with a small screw driver. Once removed turn the Quad on and see if the motor spins. If it does you have a bad motor cage if it doesn’t you could have a problem with the motor, the wiring or the PCB board. You will have to open the Quad to make repairs. I crashed my Syma X5C and now one ef the motors is screaming and I can’t figure out why. I just replaced the motors, so I will try switching the screamer out. Would this work? So one day I LANDED my quad it did not crash and a motor stopped any idea what happened or how to fix it? I noticed some folks are having issues flying after a crash or a repair. You might try recalibrating your gyros. To perform this first go through the normal start procedure. Be sure the Quad is on a level surface and Bind onto the controller. Before you do anything else move both control levers back and to the right at the same time and hold them there. The Quad will start to flash rapidly, when it completes the cycle the lights will stop flashing and the gyros will be recalibrated. You can release the levers and start flying. I have found this solves some control issues. I recalibrate my Quads after a few flights just to keep them operating at their best. SCREWS for X5C and many others. If you disassemble your Quad as many times as I have you will find that the screws don’t tighten after a few reassembles. The holes the screws go into become enlarged and won’t secure the parts very well. The holes for all the screws can accept a longer screw but trying to find these screws can be very difficult. ( and expensive ) If you purchase #0 machine screws 1/2 in. long they will work great. You will need to shorten the screw as needed. I use a pair of side cutter pliers. Hold the body firmly and turn the screw in, it will make it’s own threads as it goes into the plastic. The threads will be much finer than the original screw and you will be amazed how snug they are. Remember the screws are only used to clamp the parts together, the stress loads are very minimal. I have never had a failure in over 20 hours of flying, 10 minutes at a time. I have several more tips and modifications for better connectors, larger batteries, antenna upgrades, etc. if anyone is interested and with permission I will respond to posts here. This is the best place I have found for good information. I hope this Screw Tip is helpful and don’t be afraid to tear into your Quad. I know that this is an old thread but thought anyone stumbling across it might find this helpful… keep track of your screws when removing – separate into groups representing where they were removed from. When reassembling – place the proper screw in place and turn out slowly (counter clockwise) until you feel or hear a click and then tighten (turning clockwise). This will allow the screw to find and follow its original path. You will be able to tell you’re on the original path when tightening as it will require little effort. And don’t over tighten – it just needs to be snug. If you blaze a new trail every time you reinsert a screw eventually you will end up stripping or cross-threading the X5C receiver to the point where the screw won’t hold. I have taken my X5C-1 apart many times for repairs and modifications. I believe the 2 screws are for the switch. I have several bodies I have purchased and a friends X5C-1 that I have repaired for him. None of the units I have disassembled have the same screws in the same place. The only screws that I have found to be consistent are the propeller screws on any of the motor cages I have purchased with the gear. If you look closely at the holes where the screws go into you will see they can accept longer screws. So if all of your screws are snug you can install the 2 screws in most any hole. I have taken the syma x5c-1 apart, I have noticed that there are two screws that are slightly longer than the rest, could you please tell me were they go as I didn’t notice until i had them all out. I got all my motors spinning correctly but now I can’t get more lift then about 6′ off the ground… From everything I’ve read it’s usually due to a bad motor so I replaced all 4 and it’s still doing the same thing so I ordered more expensive motors from a better company thinking it was maybe one of my new motors was faulty but after replacing all 4 for a second time it’s still doing the same thing… Any input would be greatly appreciated. My x5c only lifts on one side and it aint taking off is this an issue and i have not replaced anything. I had the same problem. It has to do with the propellers, they have to go on in a certain way. 1. 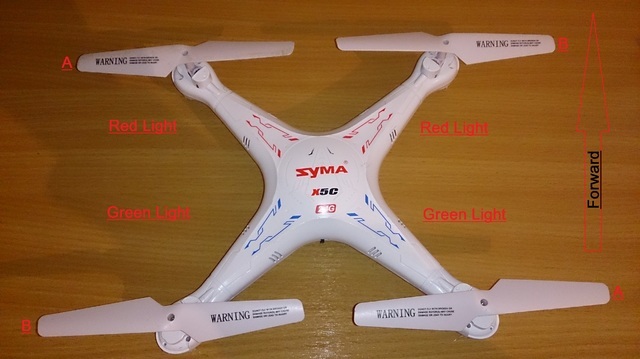 Place the quadcopter with both of the red lights facing forward. The left Red Light should have the propeller with the “warning” sign to the left – The one with the letter A under it. The right Red Light should have the propeller with the “warning” sign to the right – The one with the letter B under it. The left propeller above the Green Light should have the propeller with the “warning” sign to the right. The right propeller above the Green Light should have the propeller with the “warning” sign to the left. You just made my day thx buddy! hey, is that motor same with syma x11c motor? How to know if the motor has died and not that the board is burned? Just you have to reverse two channels (one working with one that is not working). IF the “dead” motor will spin up, unfortunately your X5C receiver board is burned. I have a Syma x5c-1 and I replaced my back right motor (blue and red wire) and it’s spinning clockwise instead of anti-clockwise. I just changed an engine after a crach! 4 engines now turning normally. However, it fails to take off: it just took off from 2-3 cm and is not controllable (from right or left without power rétalblir with remote control). Do you have an idea to help me? check the order of the props! I received my replacement motors (after about a month) and ended up with two clockwise but I need an anti-clockwise. Can I just use that clockwise motor and just reverse leads to the board? Or am I waiting another month? Yes, you can try to revers the polarity of the motor wires, hopefully will work. So perhaps the reverse polarity is a short term fix, long term problem. Bummer that I orders several cheaper clockwise motors. I think you should order new motor cages if installing a new motor as it is never a good idea to mesh a new gear with an old worn gear. Also make sure the cages come with the gear and shaft, I believe some don’t as I have seen gears sold separately. Also, I have now replaced two motors along with their cages. Both cages came with a small tab which had to be carefully cut off and filed smooth as they would not fit in the body otherwise. Compare your old cage and new cage to spot the difference. Presumably the cage is also for another model. Be careful not to lose any screws and note where they come from. There are four screws in the holes near the landing geat, two near the switch, eight long ones on the body near the motors and each motor cover has three screws. Be careful and gentle when snapping the body apart and rejoining it. So I got my x5c in and within 5 minutes one of the motors has stopped working. After pulling it apart I notice that three of the motors have blue and red wires and only one has white and black. Do you feel that could be the issue? Thanks in advance. I crashed my X5C into a tree, and got it down, 3 of the motors and props spin normal, but one’s gyro is just off. It vibrates and hits the blade protector, and every time I take off it goes full left and flips continuously until hitting the ground. I have problems with Syma X5C , one motor won’t run.How I can order the motor. I just replace all 4 of my motors. Tried to fly and two of the motors were spinning in the wrong direction. I know I installed them in the same order and polarity as the original. But I reversed the polarity on the two motors and it fixed it. But now I try to fly and it lifts off the ground a foot then goes erratic and crashed every time. I can’t trim it in. Any ideas? you tried to recalibrate the gyros?? I got a Syma x5c as a gift, and one night I tried setting the gyro upside down for fun. However, one motor, the front right motor no longer works. The wiring looks ok. Whats wrong? The copter needs to be on a level surface to sync especially when doing a restart function reset. Also try to turn on the copter then the power switch on the transmitter. I’m having a problem with my new syma x5c. I have it since last week but i’m trying to sync following the instructions and it is not working. 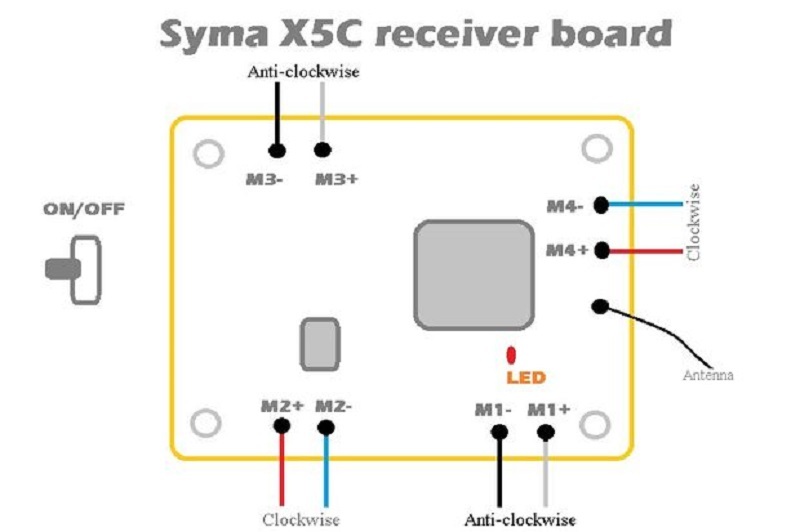 Do you know if there is a solution to sync succesfully my syma x5c with the control? My Syma X5C stopped flying. It just start lifting left side, but it does not get off the ground. What could be the issue? All 4 motors seems OK. I have done the reset but no change. I have same problem, but I don´t know what to do??? I crashed my quad, and now it wont take off/moves to the left. One of the motors seems to not be moving as fast, but I’m not sure if the motor is having problems or the gyro is messing up. Any idea of what is wrong? If recalibrating the gyro will not help you, you can try to reverse the motors to see if is something wrong with the motor or with the receiver board. Good luck with your X5C repair! you can bind the X5C with the remote controller? The blades might be misplaced, try moving your left front blade to the right front motor, Do the same thing but with the right back and right left. Trying to replace one motor. How do you remove top cover? I removed 8 screws but it is still held in the center and I cannot release it. There are 2 more screws, one on each side of the battery connector. Remove them and the top should come off . thank you for your guide! My Syma X5 is down right now too. You said to test the board u reversed the channels? Was this done via removing the power leads from m1,+ m1 and sodering on the alternate m2+ , m2 – ? or was there another method. I want to ensure I am not wasting money on parts I do not need. My issue is low power to 2 of the 4 props. Yes I tested the receiver board by reversing the channels. For example, if the m1 won’t spin and the m2 works perfectly, you have to unsolder the motor wires from -m1 and +m1 and solder them to the -m2 and +m2 on the receiver board. If after this operation the motor will still not spin up, then you have a dead motor. If it will spin up, you have one dead channel on the X5C’s receiver board. Good luck with you repair process! Much simpler to use the battery to supply 3.7v to the suspect motor. You can do this without even unsoldering it. All you need is a spare female connector. Cut the wire about 12 inches from the connector. Just touch those wires to the motor solder joints on the board. You have a bad controller or solder joint. If the motor still doesn’t spin, you have a bad motor. Good repair instructions but you faied to show how to unscrew or remove the cage that holds the motor and gears to the syma X5 frame. Can you tell me how to do that? much appreciated. Sorry, but the motor was removed in hurry after the crash land and it not was documented with images. – then gently pulling the wire will comes out engine from the motor base. Hi, I would like to know if the power switch located behind the syma x5c-1 by the battery compartment is available somewhere to purchase? The one you used to turn on the drone. For some reason the little black stick switch broke, I have no idea why and how easy it broke but now I need a replacement. Its just a small piece that is attached to the receiver board. Hopefully the spare piece is available and no need to buy the whole board. Under the skids after you pop them off there are a few more screws. These are the only hidden ones.